Over recent years there has been a leap forward in lighting in horticulture about the beneficial effects of artificial lighting on plant growth and yields. Artificial light can be applied in horticulture in various ways: to supplement daylight in a greenhouse to increase the irradiance for photosynthesis; to increase the effective day length or decrease the period of darkness (photoperiodism); as a substitute for daylight in grow rooms and laboratories. 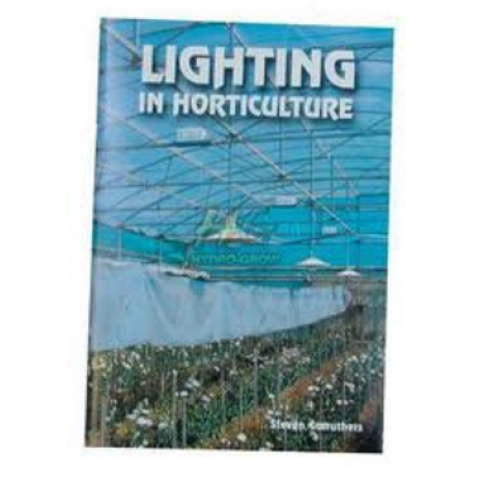 This book provides a general knowledge of light and the photobiological processes that take place in plants, and the lighting technology now available to stimulate or control those growth processes. This book examines in detail those light processes and explains how to measure light. It also outlines the various horticultural lamps, control gear and reflectors that can be used to increase plant growth and yields.